James Nachtwey | War Photographer | Life, Inspiration and Witness. “I have been a witness, and these pictures are my testimony. 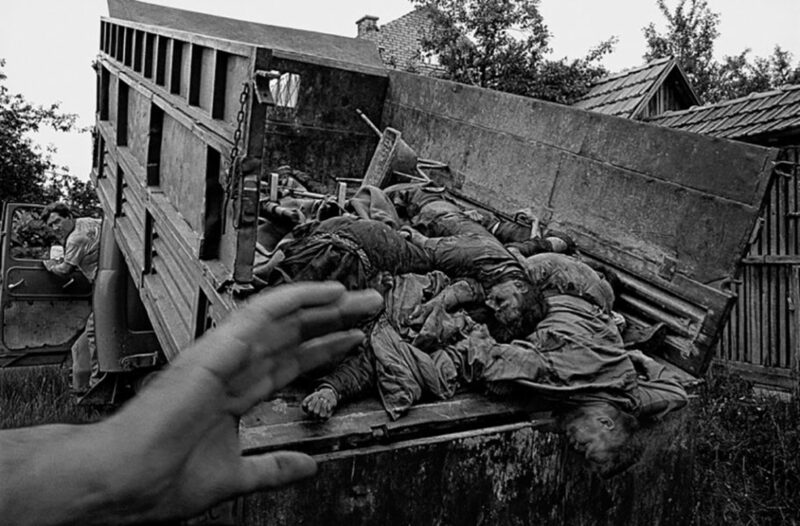 The events I have recorded should not be forgotten and must not be repeated.” – James Nachtwey. 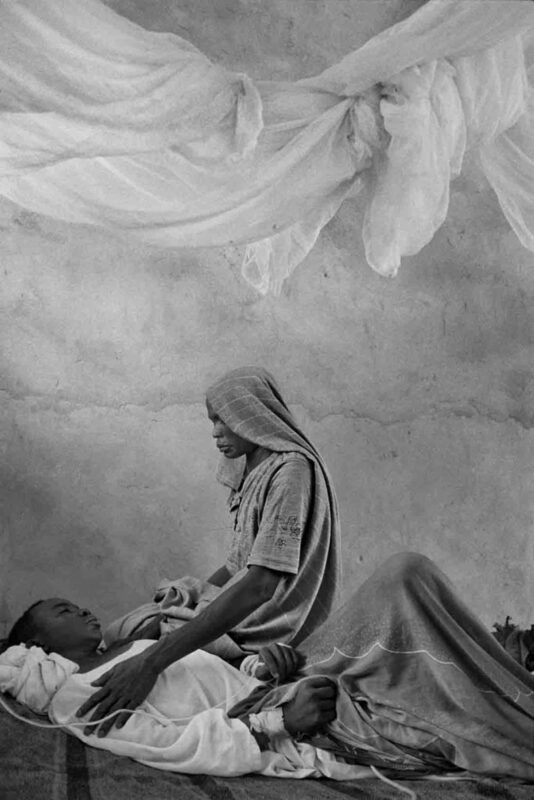 I first came to know about James Nachtwey when I was probably sixteen or so. I was browsing the Internet looking for some inspiration for photography. It was not very long when I found some really good and stimulating photographs of war and conflict-ridden places. “God…they are really good images”, I thought to myself. I began looking for the photographer and it turned out to be James. 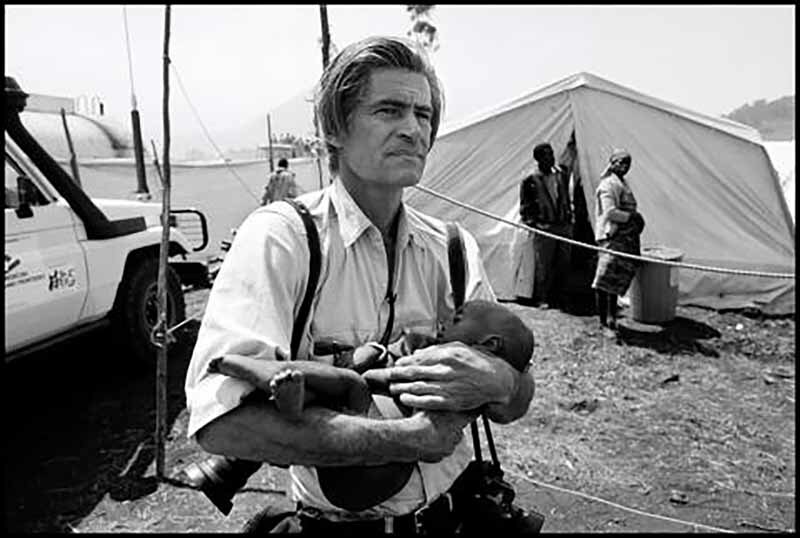 James Nachtwey, War Photographer. That’s how the world knows him, and this was exactly how I came to know about this immensely talented and extraordinarily humble man. James is an American photojournalist, born on March 14, 1948, in Syracuse, New York, USA. He was a student of the Dartmouth College where he studied Art, History, and Political Science (1966-1970). The pictures from the Vietnam War and the Civil Rights Movement had a profound impact on him when he was still in college in the 60’s. The stories that the photographers told were in complete contradiction to the stories the political and the military leaders told the world. He wanted to be of help somehow; he chose photography. He wanted to be a photographer only because he wanted to be a war photographer. It was not very easy in the beginning. It took him a long time to feel confident about his decision of being a war photographer. He had to convince himself before he started convincing other people. Finally, one night he woke up and had this very clear thought that he had learnt everything there was and now was the time to go to New York and try and get a photography job, a war photography job. He started getting assignments immediately. James had his first assignment in Northern Ireland in 1981, involving the civil strife. Since then he has completely devoted himself to this world of photography. James has never had a family; he has had terrible diseases. He has been wounded many times but he never stopped. He has given everything to the job. In his career, James has covered many countries such as Rwanda, Nicaragua, Bosnia, Romania, South Africa, Indonesia, El Salvador, Thailand, Sudan, Afghanistan, Chechnya, Brazil, Russia, and Guatemala. The principal focus of James’s illustrative career of more than twenty-five years has nearly always been a spectrum of social unrest, armed conflict, poverty, and critical social issues. He started his career as a war correspondent and a war photographer but later in his life, he turned to social issues especially forms of deadly diseases, poverty, and starvation. James has a very high opinion of photography as a means of communication. He believes photography not only records history but also helps change its course. Photography makes the change not only possible but also inevitable. In his opinion, documentary photographs give the victims of war and the citizens a voice in the outside world, a voice that they wouldn’t have otherwise. As a reaction, it stimulates public debate and awareness. Society’s problems cannot be solved until they are identified. On being asked the question how he handles his emotions, James has always had a very clear and concise answer, “I channel it into my pictures”. He says it is like asking a marathon runner if he feels pain. It is not about whether or not he feels pain but how he manages it. While photographing his subjects who are nearly always victims of social disorder, war, or serious tragic happenings, James has always had a sense of respect and empathy towards them. He never moves too quickly or barges into spaces where he is not welcomed. James has said many times that he always felt that these people who were going through some terrible tragedy or misfortunes somehow wanted him to be there and tell their story. He somehow became their voice, a voice that they lacked and longed for. Those pictures could not have been made unless I was accepted by the people I am photographing. James was an associate of the Bang Bang Club. This was basically a group of four photographers who photographed apartheid in South Africa from 1990 to 1994. In 1994, as James, along with the Bang Bang Club, was covering an upcoming election in South Africa, Ken Oosterbroek was shot right next to him. Greg Marinovich was also injured. Ken later died in the hospital. James was once seriously wounded when he was covering the United States’ invasion of Iraq. 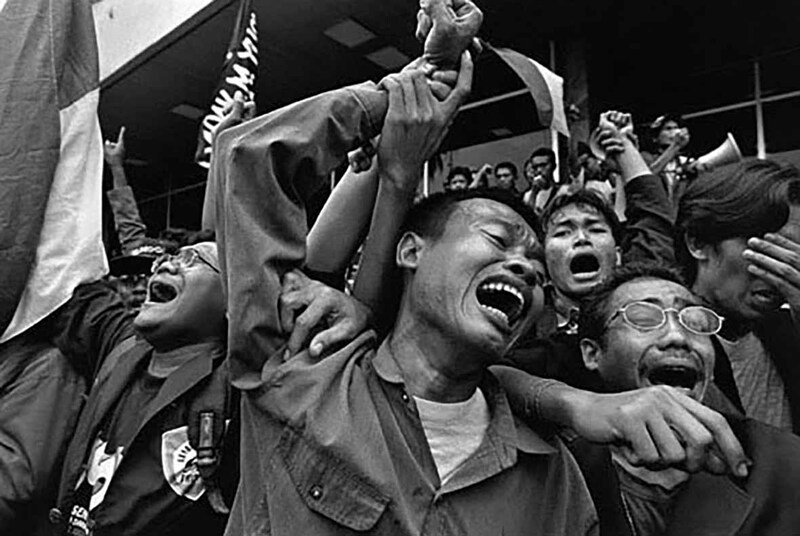 He, however, recovered from his injuries to return to photojournalism and to cover the tsunamis of 2004. Christian Frei, the well-known director made a documentary on James Nachtwey and his work; it was called War Photographer, released in 2001. The film was very successful and brought much attention to this quiet and extraordinary man. The film was also nominated for the Academy Awards for the best documentary film that year. In fact, this was the very film through which I came to know about James. The film has had the most profound impact on me as a photographer. It has given such a deep sense of purpose to my life, not only as a photographer but also beyond it. There was a monologue at the end of the film where James describes why he chose photography, what he thinks is the power of photography, and what makes him tick to the extent to which he ticks. To this date, that monologue has never failed to give me goosebumps. It is one of the most hauntingly beautiful things I’ve ever heard. In this day and age where so much is targeted towards ‘entertainment’, James gives us such a lot to think about and ponder over. I don’t know about other people; but after having learnt about him and watched the film, I feel so small and insignificant. Here is a man taking on the greatest powers of the planet and fueling a revolt against really bad people and here I was trying to make flowers look pretty. James taught me a very good lesson very early in my life as a photographer. Pretty pictures are pretty much always useless. You can send a hundred people with a camera to a particular place and nearly all of them will return with the same shot. Just try to remember the last different picture you saw of the Taj Mahal. They were all taken by different people but they all look exactly the same. Why the hell are you any different then? If you do not have a story that is worth being told, you are just wasting your time. Now that I think about it, I believe that me becoming a street photographer had a lot to do with James. It was the next best thing that I could do here, today, now without going to a war front. Having said that, I DO NOT condemn people who do that kind of pretty-looking shots in any way or manner; it’s just that I don’t find them meaningful enough. It’s just my humble observation, doesn’t make it wrong. 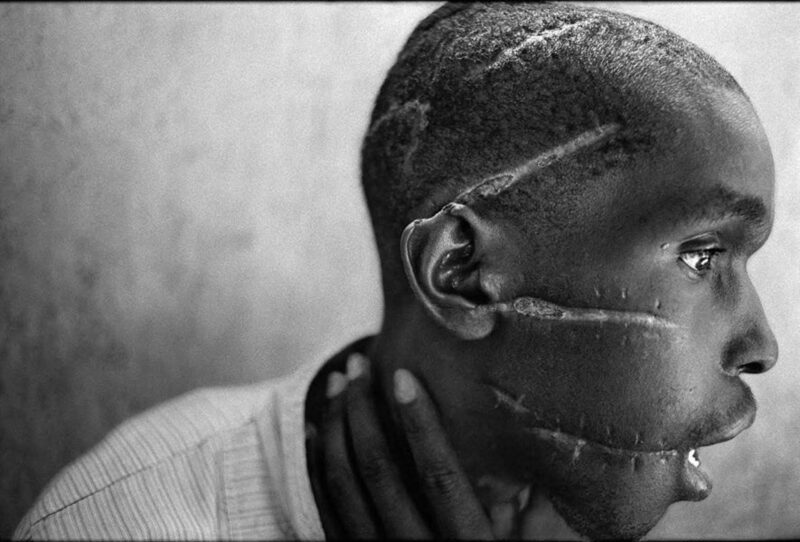 James Nachtwey has spent a long time in Africa covering a host of issues. In one instance in the film, he remembers an incident right after the Hutu Army was defeated in Rwanda. He had then just completed his assignment for a magazine where he had seen mass massacre and the utmost hell on earth. People killing people with primitive weapons, sticks, machetes, farm tools you name it. 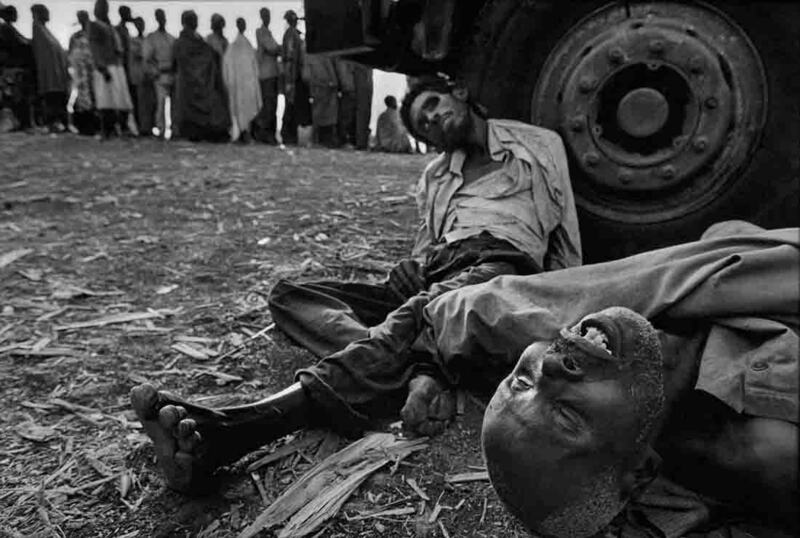 His photographs spoke volumes about what exactly happened in those African countries in those times. 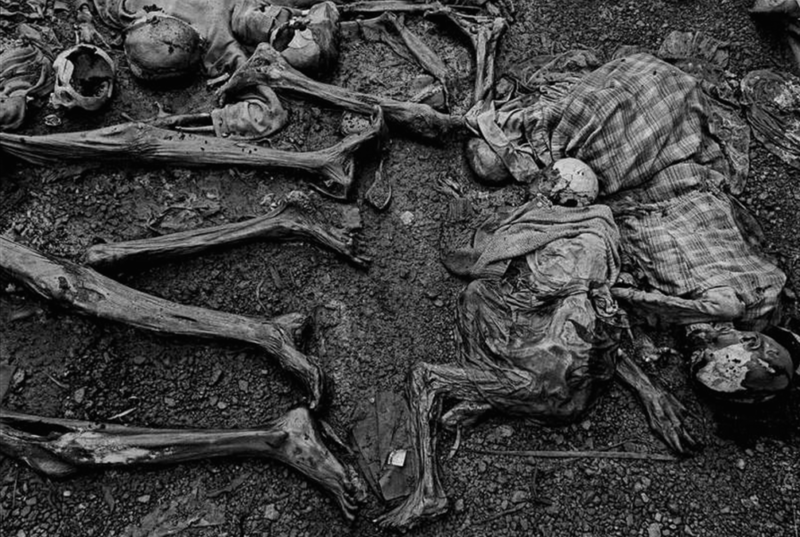 Just after the Hutu army was defeated, hundreds and thousands of Hutus fled to nearby Tanzania and Zaire (now The Democratic Republic Of The Congo). James went to these places to document the state of affairs of these now refugee states. Soon he realized that people he had been photographing were probably the very people who had committed the massacres he witnessed a few weeks ago. He said that the feeling was like “taking an express elevator to hell”. Famines in those days in Africa were more rampant than malaria. However, most famines were not natural; they were a product of the war. Thousands and thousands of people were slowly and painfully exterminated in a very detailed and strategic manner. Primitive alright but famines were a very effective weapon of mass execution, probably the oldest known to man. James always wanted his photographs to be looked upon not as art objects but as a means of communication. He has this phenomenal sense of optimism that good will finally triumph over evil. Maybe that is what keeps him from being a cynic. There are many photographers and videographers who document wars, conflicts, and combat situation but there is a stark difference in their approach and that of James’. Majority of the journalists try to keep away from the main core where an incident happens, as if to instinctively say “I am not a part of it”. James has always been the exact opposite. He always tried to help the affected in every way possible. In one instance in Jakarta, Indonesia, James even pleaded for a man’s life multiple times when the man was being chased down the street by a mob. The mob didn’t listen and they eventually killed the man. James Nachtwey, war photographer, has always been my hero not only because he is an exceptional photographer but also because he is an extraordinary human being. I believe that had he been a ballet dancer, I would not have been any less inspired by him. A person who completely devoted himself to his art; who listened to the call of his soul and did something about it. If you think rationally and practically, the odds of him making a difference to the world and the wars continuing forever, the odds seem stupendously stacked up against him but that doesn’t stop him from doing things that he wants. His ever so powerful optimism and his great determination that make him go on is simply amazing. I cannot even begin to comprehend the wave of emotions I feel every time I hear that last monologue in that film or listen to him say something on stage. 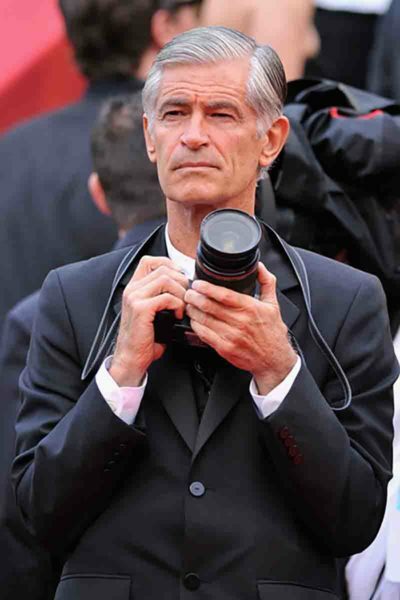 James Nachtwey has also authored and co-authored many books. Some of them are Inferno, Deeds of War, James Nachtwey: Civil Wars, Humanity in War: 150 Years of The Red Cross in Photographs, and Pietas. He is now working on an issue related to extensively drug-resistant tuberculosis, which was his TED ‘world-changing wish’. “In the field what you experience is extremely immediate. What you see in not an image on a page of a magazine, ten thousand miles away with an advertisement for Rolex watches on the next page. What you see is unmitigated pain, injustice and misery. It occurred to me that if everyone could be there just once to see for themselves what white phosphorous does to the face of a child, what unspeakable pain is caused by the impact of a single bullet, how a jagged piece of shrapnel can rip someone’s leg off. If everyone could be there to see for themselves the fear and the grief just one time; they would understand that nothing is worth letting things get to the point where that happens to even one person, let alone thousands. But everyone cannot be there, that is why photographers go there. To show them, to reach out and grab them and make them stop what they are doing and pay attention to what is going on. Create pictures powerful enough to overcome the deluding effects of the mass media and shake people out of their indifference. To protest and by the strength of that protest make others protest”. 1999: Honorary Fellowship of The Royal Photographic Society. 2001: Academy Award nomination for the best documentary film for War Photographer (2001), directed by Christian Frei. 2002: Dan David Prize from the Dan David Foundation and Tel Aviv University. An award of US$1 million for the “Present – Print & electronic media” theme, shared with Frederick Wiseman. 2006: 12th Annual Heinz Award in Arts and Humanities from The Heinz Family Foundation, including a prize of US $250,000. 2007: One of three winners of the 2007 TED Prize. 2016: Princess of Asturias Award for Communication and Humanities. Disclaimer: All War Photographs are by James Nachtwey. This blog is merely a way to show respect and gratitude to the person who immensely inspired me and showed me the true meaning of being a photographer. Aperture Buzz does not claim these images and is only republishing them.